Amazon's Kindle app has finally arrived for the iPhone and iPod touch in the UK. The application was launched for the US market back in March, but has finally been opened out to a wider audience, with Amazon confirming its availability in 60 additional countries. The Kindle iPhone app brings the Whispersync technology that allows you to sync the page you are on across multiple Kindle-supporting devices. 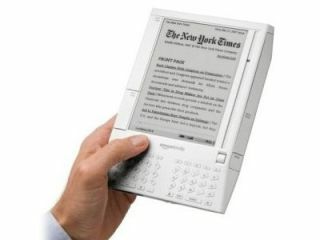 "We are excited to make the Kindle for iPhone App available to iPhone and iPod touch users in more than 60 countries, allowing them to access the vast selection of the most popular books, all available wirelessly from the Kindle Store," said Ian Freed, vice president, Amazon Kindle. "The Kindle for iPhone App is the perfect companion for customers who own a Kindle or Kindle DX, and a great way for customers around the world to download and read books even if they don't yet have a Kindle." The app is available from the iTunes store for nothing, and will of course allow you to buy and download books, sample texts, access your library of purchases and add and view notes.